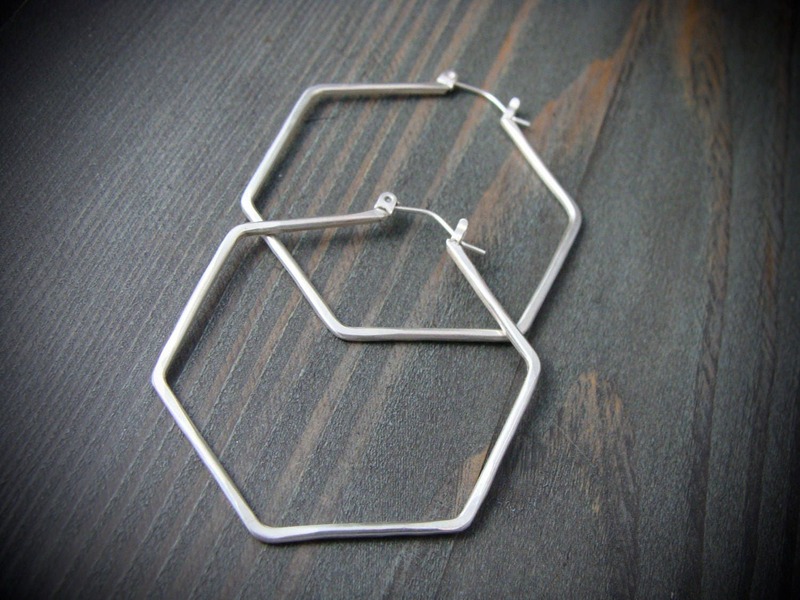 These solid sterling silver hoops have been formed into a hexagon shape. 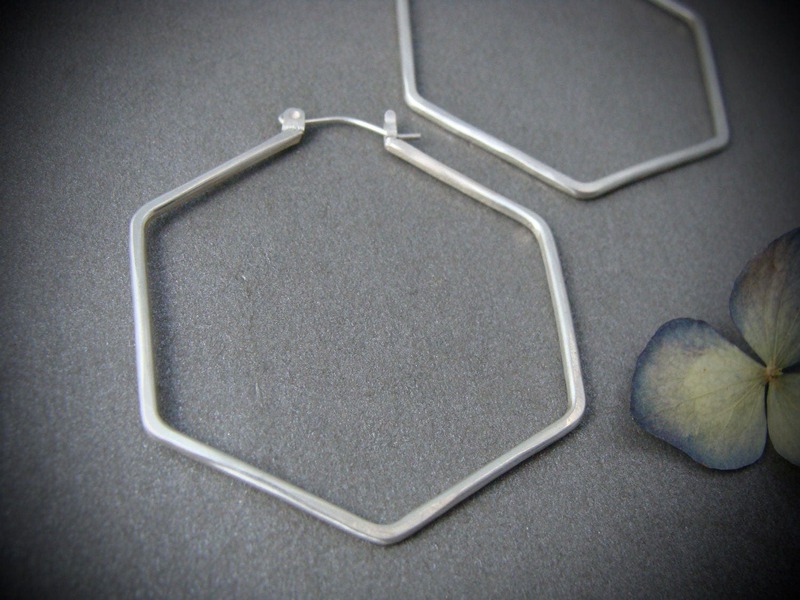 the sides have been lightly hammered to catch and reflect the light. 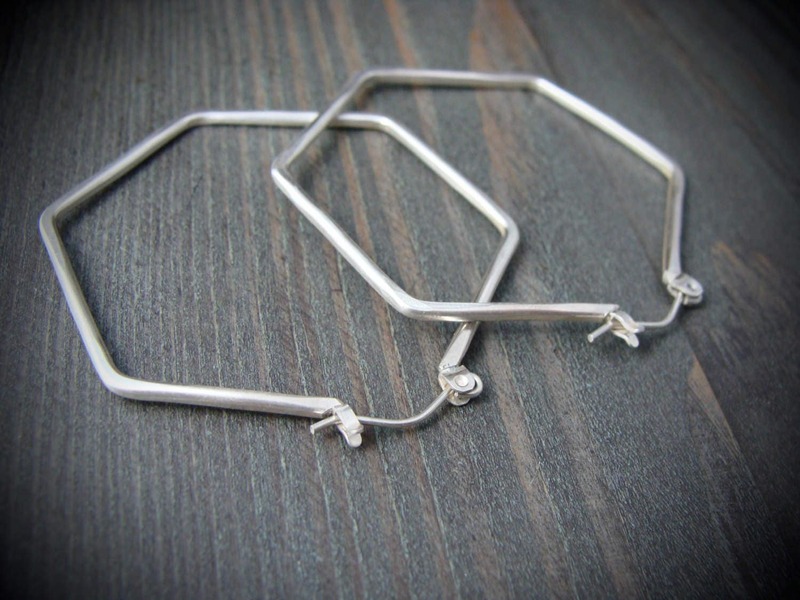 Modern and lightweight, they are sure to become your everyday faves. 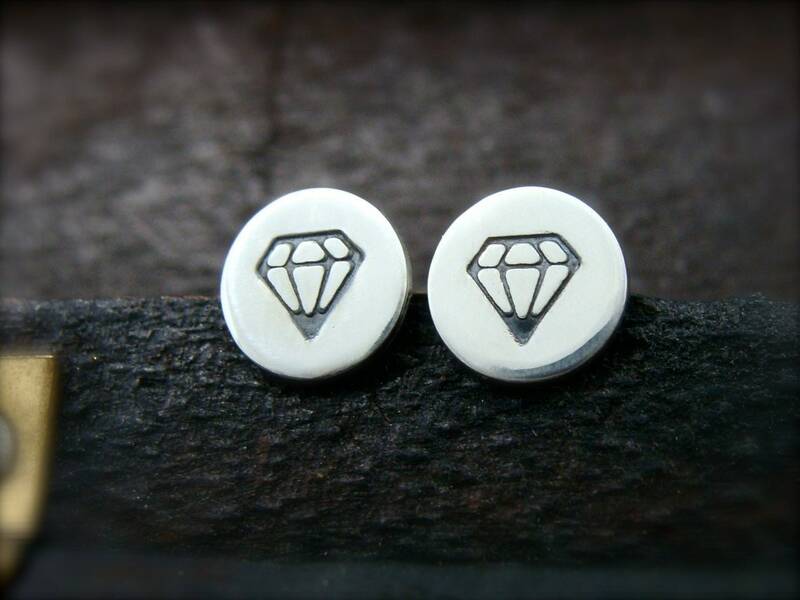 Paired with my "diamond studs"in the last photo. 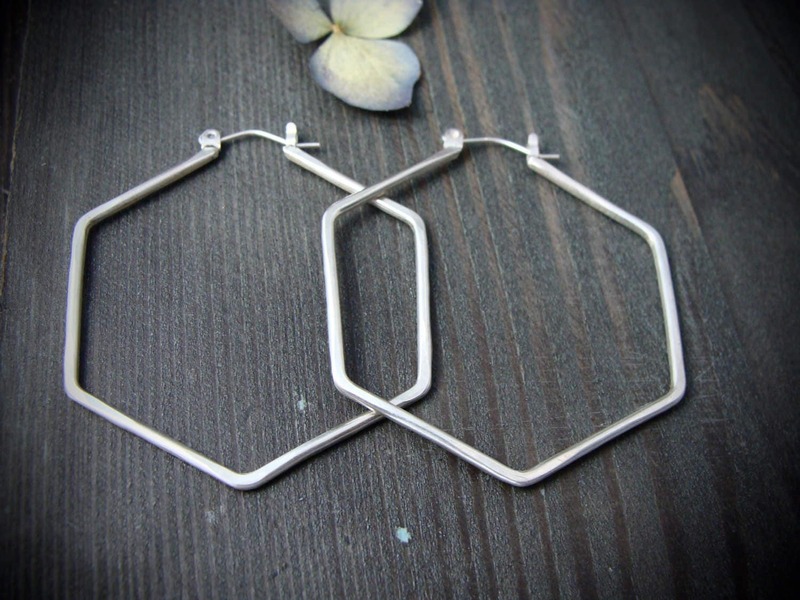 I love that these earrings are the perfect balance of simple and interesting. 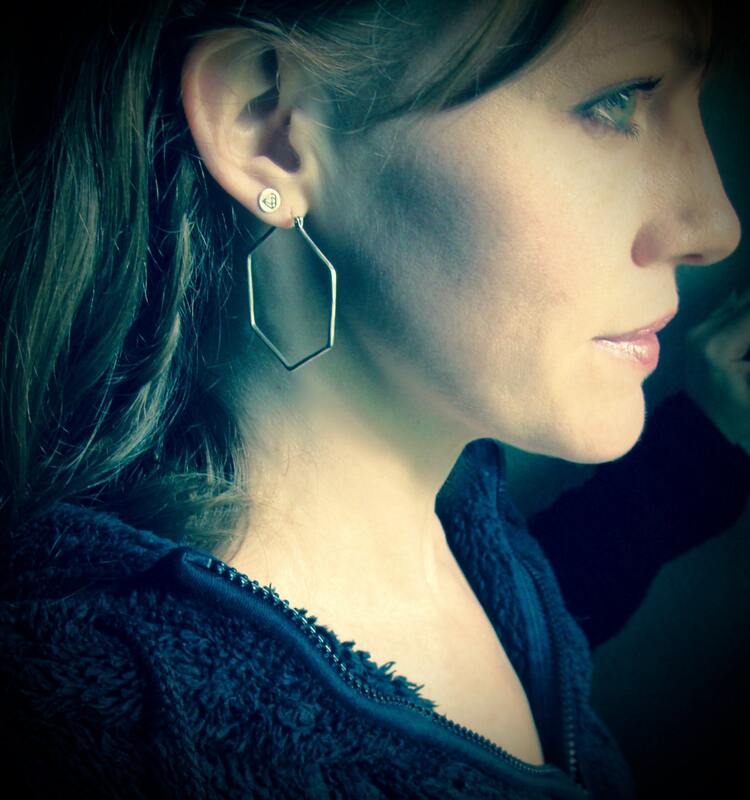 Lightweight too, so I have no issues wearing them all day. Happy with my purchase. Thanks again.